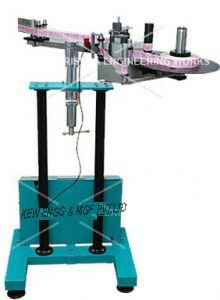 Label Roll Dispensor Machine | KEW ENGG. & MFG. PVT. LTD.
We are leading manufacturer Label Roll Dispensor Machine. Overall Size : 2feet x 1.5 feet x 4 feet height MOC. M.S. Colour Coated strcture with adjustable height , M.S. base, with Suitable Label Wrap Around system.